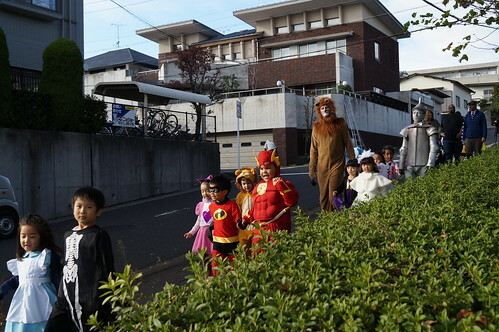 In the afternoon, we all went went trick or treating! It was a beautiful day. 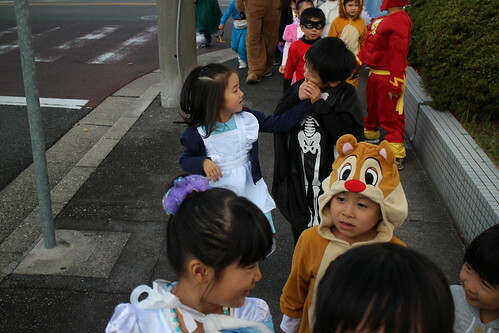 The students were so careful as they walked to the trick-or-treat spots with their parents and teachers. 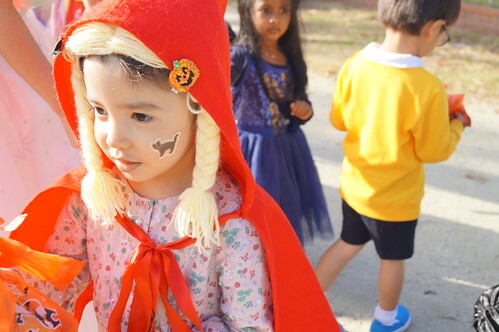 A special thanks to the parents who took time out of their busy schedules for our party. 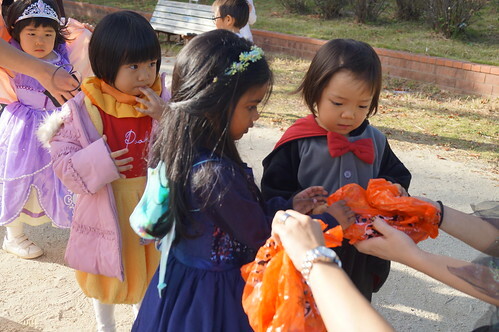 All students practiced saying “Trick-or-treat!” and were especially looking forward to getting lots of snacks. 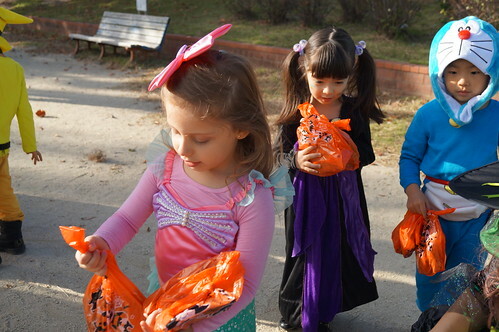 Thank you so much to all the families who donated candy to make our day extra-special. 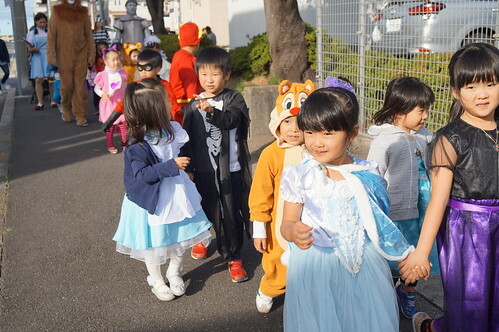 Thank you again to all parents and students who were able to attend our Halloween Party! 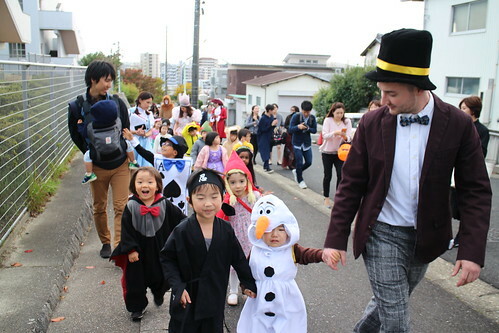 We can’t wait for next year’s Halloween!